Adding value is always the goal of every successful company, and Packing for a Purpose always adds value to every trip. Businesses that want to increase the value of their corporate retreats and meetings can easily do so by inviting their employees to Pack for a Purpose. 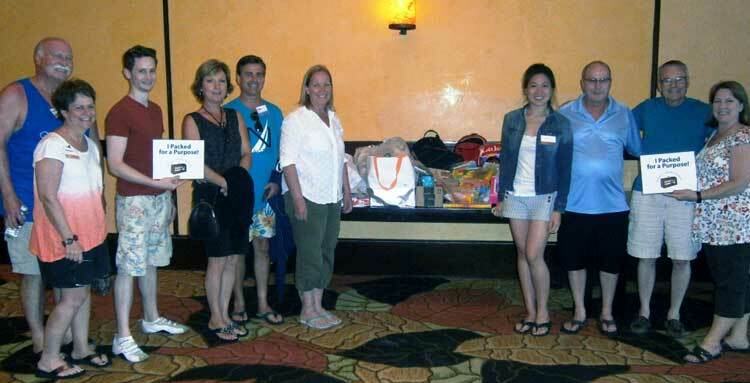 Senn Delaney made a gigantic impact in the Riviera Maya and affirmed their corporate purpose when they invited their employees to Pack for a Purpose at their corporate event at the Fairmont Mayakoba. The generosity of the employees of Senn Delaney was overwhelming and collectively resulted in the delivery of 180 kilos of supplies supporting three different community projects. As more companies across the globe choose to include Pack for a Purpose as part of their employees’ travel experience, this win-win situation will continue to enhance both business travelers and the communities they visit.